This year, do something great with your birthday! It’s easy. Instead of gifts, ask your friends for small donations. 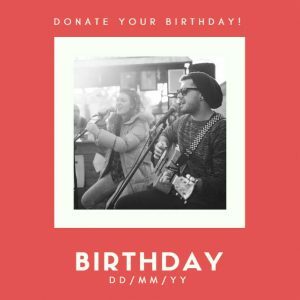 Pledge your birthday by using the form below – we will help you organize a birthday party, and you will help us in making Obrenovac a community of active citizens and active neighborhoods. We’ll use 100% of the money you raise to fund small neighborhood initiatives in Obrenovac in 2018. When complete, you’ll see the exact projects you funded with photos and video reports. Give back by making a difference in the lives of youth in Obrenovac, and start your next year of life with some great karma.